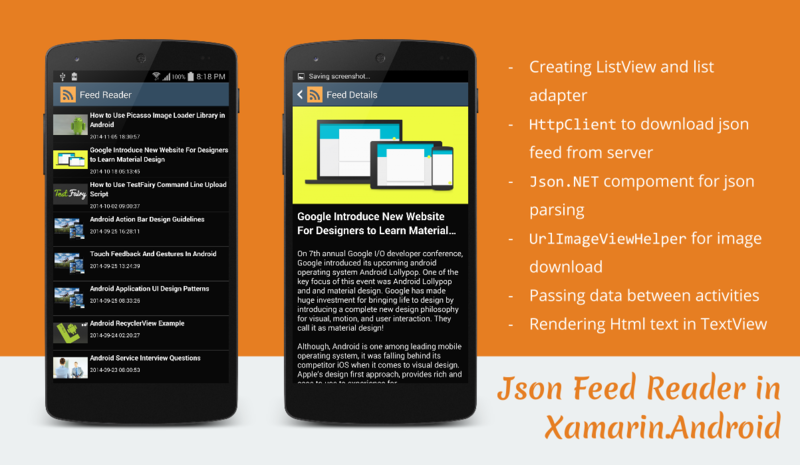 This is an sample JSON feed reader application developed in Xamarin.Android platform. This app will fetch the recent posts from stacktips.com and display list of posts along with post title, thumbnail, description on screen. All the source code used in this example, are open source. You may grab a copy of the project source code from the download link provided. Hi, when I try to test your example of JsonFeedParser it starts and try to open than suddenly crashes. Would you mind pasting the crash log? That will help to find the cause quick. You can remove the android:style attribute from TextView layout. Create your own style class.